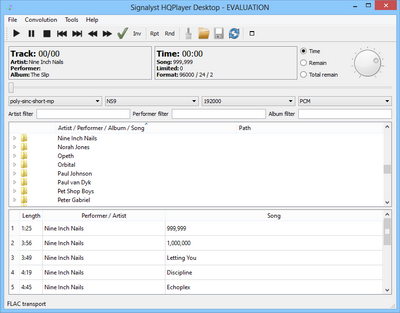 HQPlayer is a high-quality audio player, with support for ASIO, and WASAPI. A network audio adapter is built in. It has several high-quality algorithms for increasing the discretization, as well as algorithms for smoothing, noise reduction and modulator. Additional high frequency expansion for convolution engine.